Quickly and effortlessly spin an American classic with this Carnival King CCM21E cotton candy machine! With a steady production rate of two cones per 90 seconds, this compact machine makes it easy for you to keep up with demand and add more sales to your daily business! The CCM21E's durable and reliable belt-driven operation delivers 1080 watts of power to boost all-day-long production, and includes two replacement belts. 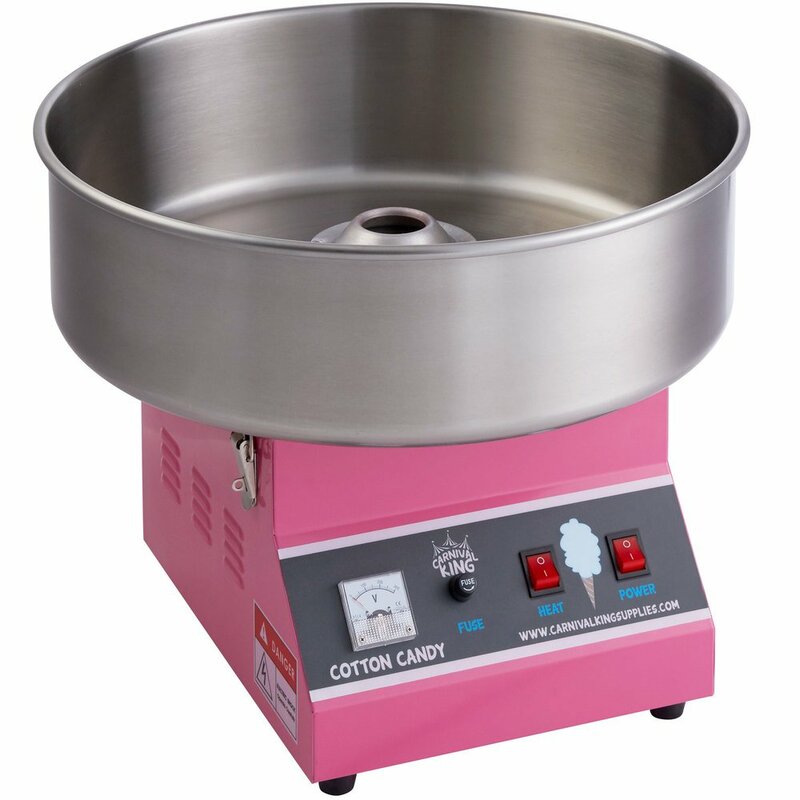 This cotton candy machine features a 21" diameter stainless steel bowl and comes with clamps that hold down the bowl during use to minimize vibration, making operation smoother and less noisy! Using this cotton candy machine couldn't be easier! Simply turn on the power and heat, and within three minutes you'll be making delicious cotton candy for your snack stand or carnival event. The spinner head is 5" in diameter and holds 4 oz. of floss sugar. This cotton candy machine requires a 110V electrical connection.